I’ll be upfront – I’m not a big fan of over-the-top Valentine’s Day gifts and gestures. I’m certainly open to receiving flowers but admit that when I see young guys trudging through the city on Valentine’s Day with a huge bouquet in one hand and an enormous stuffed toy in the other, I think ‘glad that’s not for me’. Thankfully style has caught up with Valentine’s Day and there are lots of beautiful and unique ways to express your thoughts. Remember the strange, kind of soapy taste of candy hearts? I think I would prefer this silver candy heart over the ones found in mixed lollies! 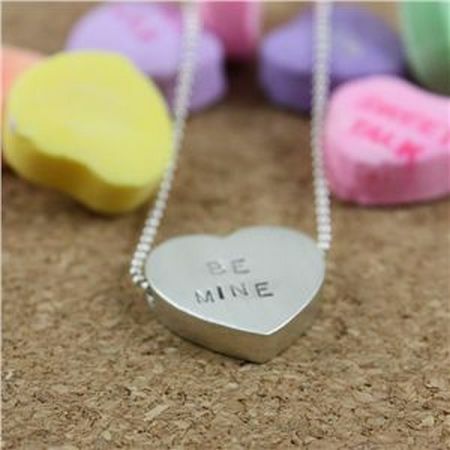 Designed by Christina Kober, these sweet sterling silver hearts come with lots of different messages from ‘Kiss Me’ to ‘Marry Me’ or you can customise with your own special sentiment. Necklaces are US$74 and are available through the Beehive Shop. 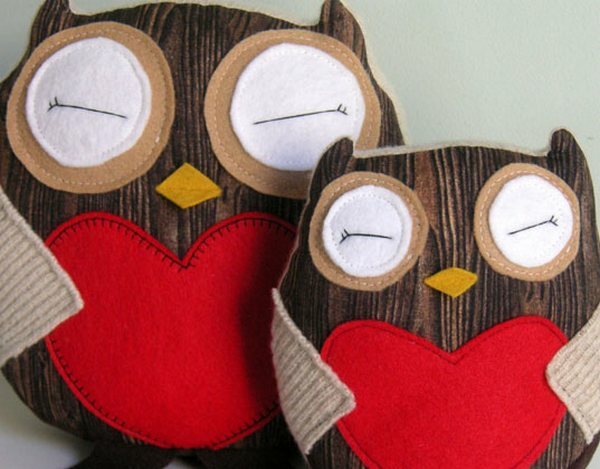 If you’re after something that is heartfelt but not the usual pink, pink, pink lovey-dovey gift, check out these cute Hoot Owls from Etsy store Buttercup Bloom. 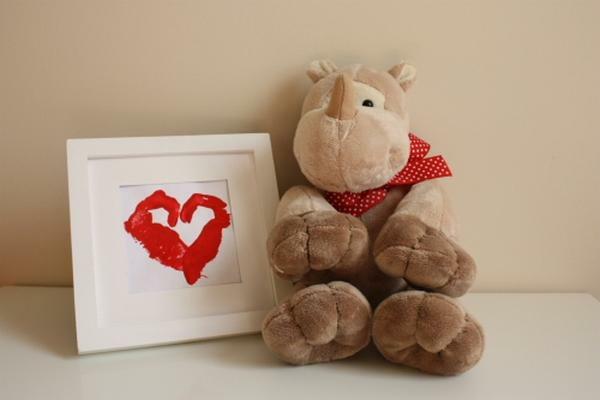 Made from a gorgeous range of upcycled fabrics, I like the fact that you can choose to have a blue, green, yellow or chocolate brown Valentine gift. Each owl has a secret little pocket on its back that’s just the right size for a little note or a tiny treat. Owls are US$24. 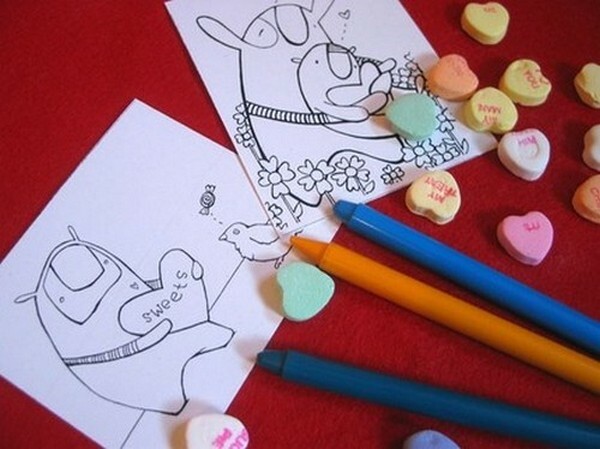 For kids that want to get crafty this Valentine’s Day, Etsy shop Green Star Studio has a great card making kit that includes 32 cards ready for colouring in. I think giving cards to everyone in your child’s class is a US tradition that you won’t find in Australian schools but the sweet illustrations on these cards are fantastic nonetheless. And they may be American but does this little character look a bit like a wombat to you?! If you fancy something a little more “hand” made, then a heart hand stamp says love in a unique way. All you need is some red paint, card and a willing little hand. This is one of those projects that has ‘mess’ written all over it, which is precisely why kids will enjoy it. Finally, it’s no secret that I’m not the least bit crafty but that doesn’t stop me gazing longingly at the always perfect efforts of Martha Stewart. 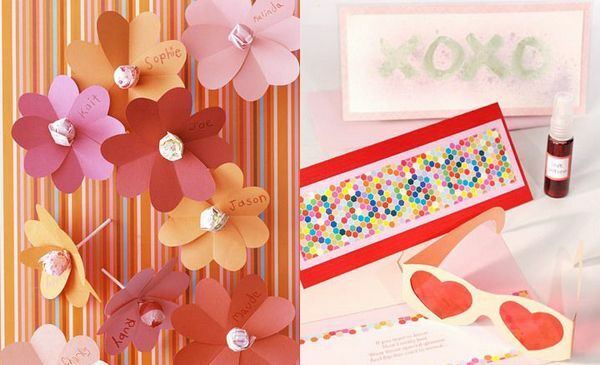 She is a one-stop inspiration spot and her ideas for kid’s craft and Valentine’s Day projects are beautiful. 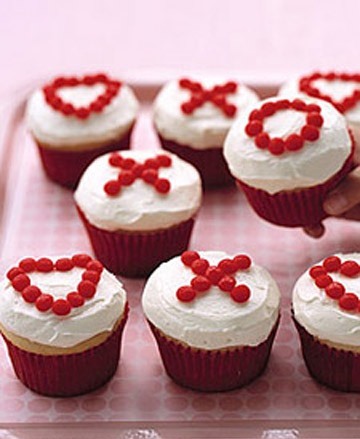 If you’re like me and planning to live a Martha Stewart existence in your next life, then just enjoy the gorgeous photographs of all sorts of simple projects from Valentine teabags and divine heart and lollipop flowers to hugs and kisses cupcakes and clever secret message cards.